Here is a quick project of goodie bags for some homemade treats. 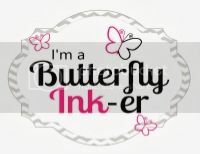 Hope that you guys enjoy and don't forget to check out the other fabulous projects by the scrappy mom sisters by clicking on their name on the right side bar! Hope that you have been having a great start of the week. 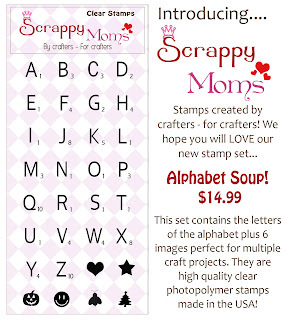 I'm back to show Sneak Peak #2 with Scrappy Mom's new release. 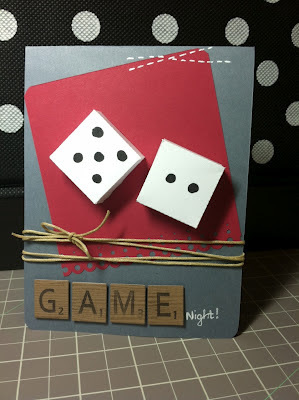 Although I love using my Cricut and Cameo, I miss just simply Stamping.....so I went back to stamping for this card. Hope you guys enjoy and don't forget to check out all of the scrappy mom sister's projects by clicking on their name in the right sidebar. 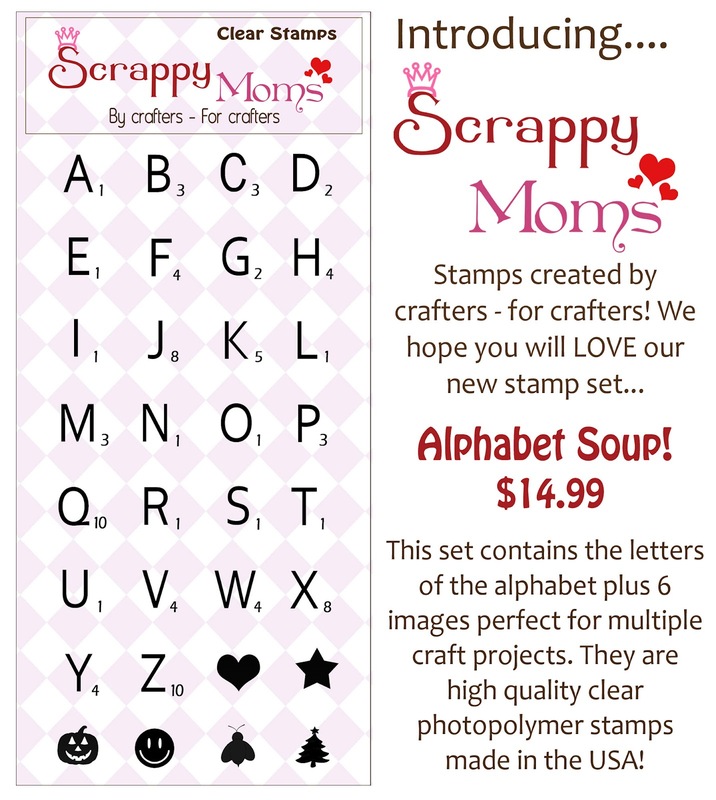 The Alphabet Soup Die & Stamp works perfectly with the Alphabet Soup Stamp Set! For today's project, I decided to show you them both in my card. I cut the dice from my Silhouette. I took the 3D dice and trimmed them down so that they would still be 3D on the card. Also, don't forget to check all of the other Scrappy Mom's Sisters projects by clicking on their name in the right sidebar.